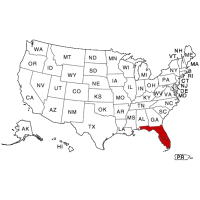 Florida is a great state for pre-employment b background screening, because criminal record data is very well maintained. Intelifi’s criminal database obtains monthly updates from the state court system, so we can provide instant, comprehensive reports in the state of Florida. Because Florida is one of the highest populated states in the nation, their crime rate is higher than the national average, and it is very important to thoroughly screen candidates you are thinking about hiring. Intelifi can help you uncover everything from serious Felony crimes, such as homicide and burglary, as well as Misdemeanor crimes like possession and endangerment. Because Florida maintains such thorough criminal records, you can expect to obtain complete case information that will give you everything you need to know about an applicant’s criminal history. To begin using our services for pre-employment screening in the state of Florida, please contact Intelifi today.